Hailing from Auckland, New Zealand, Avalanche City is the musical moniker of Dave Baxter. Following breakout success in 2011 for his debut single, Love, Love, Love, Baxter spent unhurried months in his home studio, a leafy backyard room affectionately named The Treehouse. 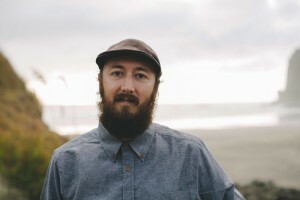 He surrounded himself with a cadre of old instruments and invented the familiar, yet evolved songs that would become his latest album, We Are For The Wild Places (2015). The album’s leading single, Inside Out, achieved a #1 status on the NZ single and radio charts and attained Gold accreditation in Baxter’s home country. After recording the record in his home studio, We Are For The Wild Places also provided Baxter the opportunity to work with a childhood hero, former Death Cab For Cutie guitarist Chris Walla, who mixed the album. As the pair huddled in Walla’s bunker-like studio in Seattle, USA, We Are For The Wild Places came alive, a fitting tribute to a happy accident half a decade ago, and a full-circle from the country to the city.